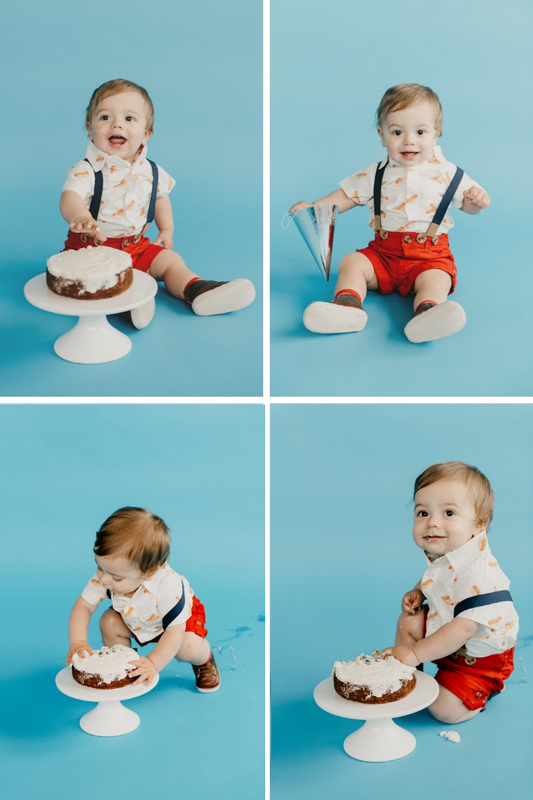 A big moment: baby’s first birthday! 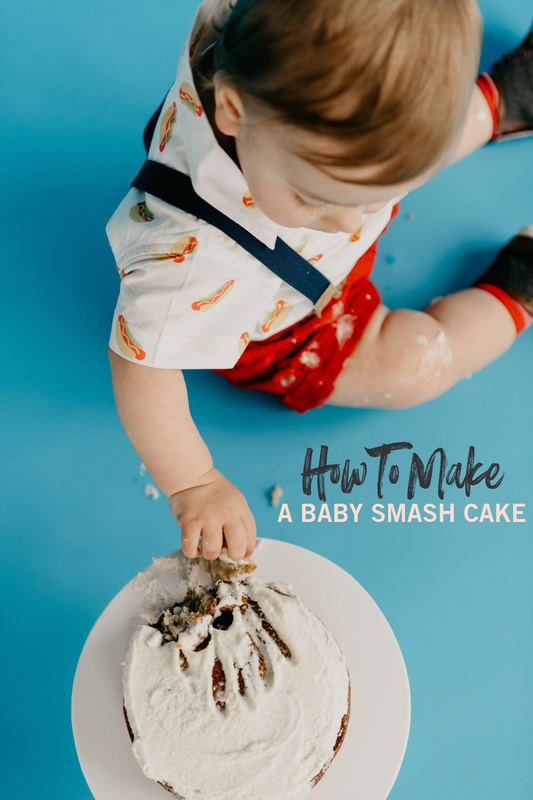 It’s time to celebrate and make baby their very own smash cake. 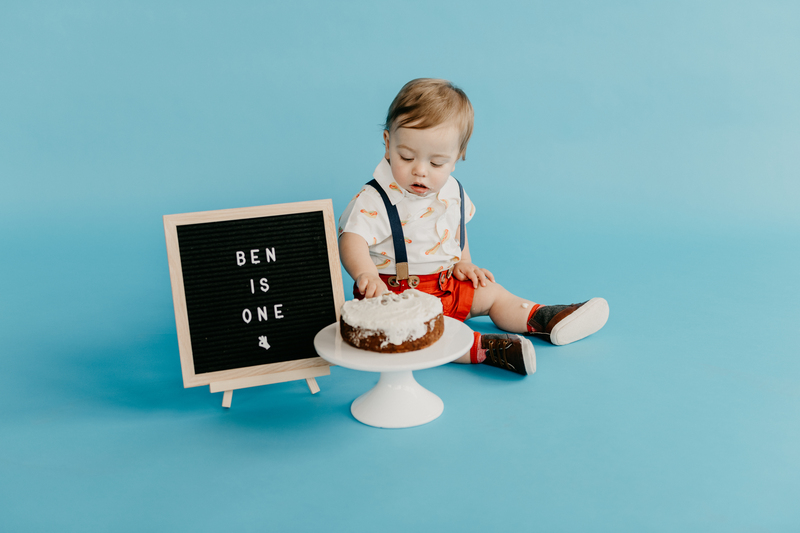 So today I’m sharing how to make a baby smash cake and I’m sharing pictures from Ben’s simple 1st birthday party. 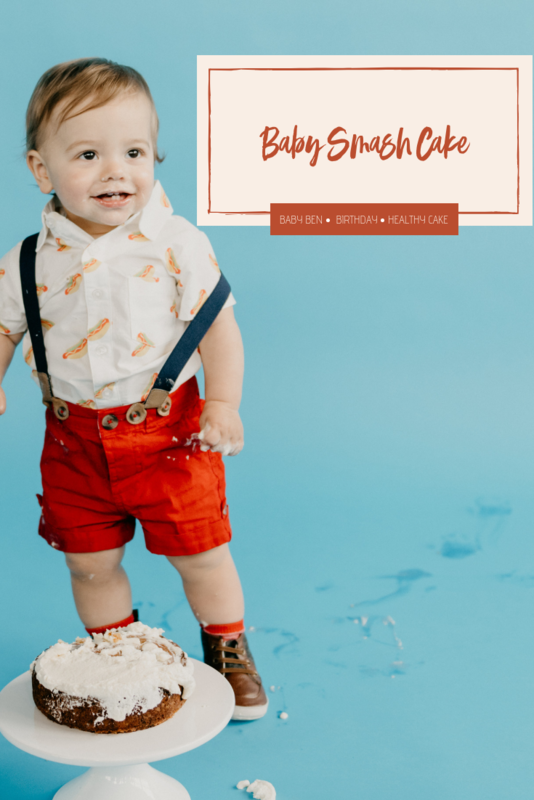 Baby smash cakes are relatively new on the scene. My parents had never heard of them lol. I had to explain the concept: you make baby a cake and then take pictures of them ‘smashing’ it (this was met with blank stares). 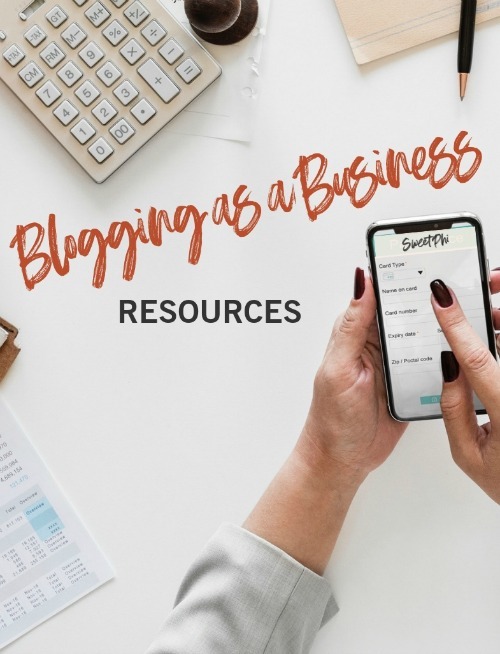 Basically, it’s a Pinterest thing. It’s really fun to have photos to look back on. 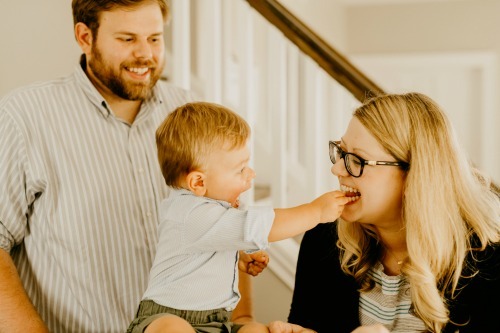 We had a little photo shoot done with the talented Ren of Studio 29 who we absolutely love (she did our family photos and the 6 month pictures I shared in the post: 16 thoughts about the first 6 months with a baby)! Ok, now lets get into the nitty gritty: how to make a baby smash cake. Find a recipe that you’re comfortable feeding your baby. For me, I made this banana cake with Greek yogurt frosting because it didn’t have a ton of sugar and was made with wholesome ingredients (much better for baby than a box mix). Want to know what happened when we put the smash cake in front of Ben? He first looked at us like we were crazy, then he gently patted it lol. It was so cute. 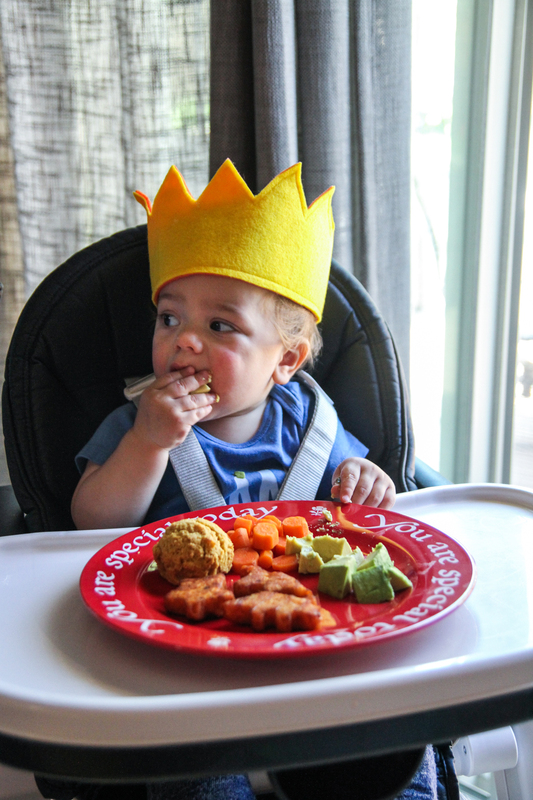 For his 1st birthday party, we wanted to keep it simple. With work and life with a baby, it can get really busy as I’m sure you can relate to. 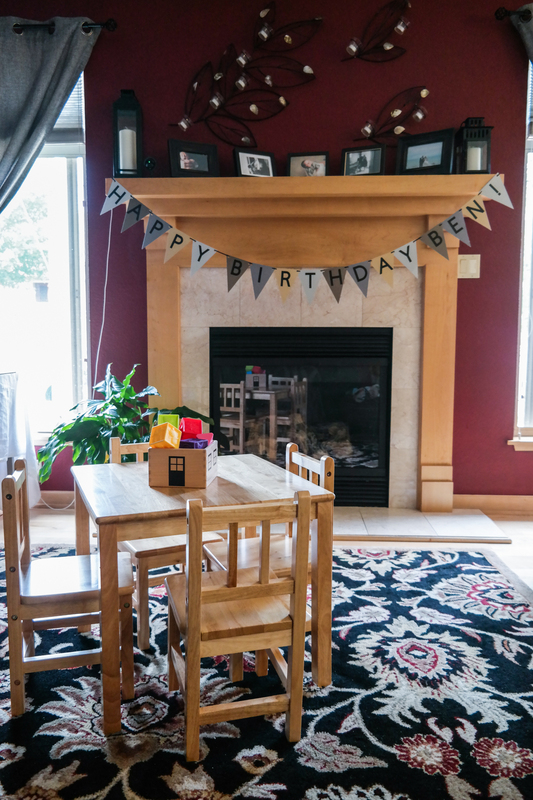 So we wanted to keep it a really simple birthday party. 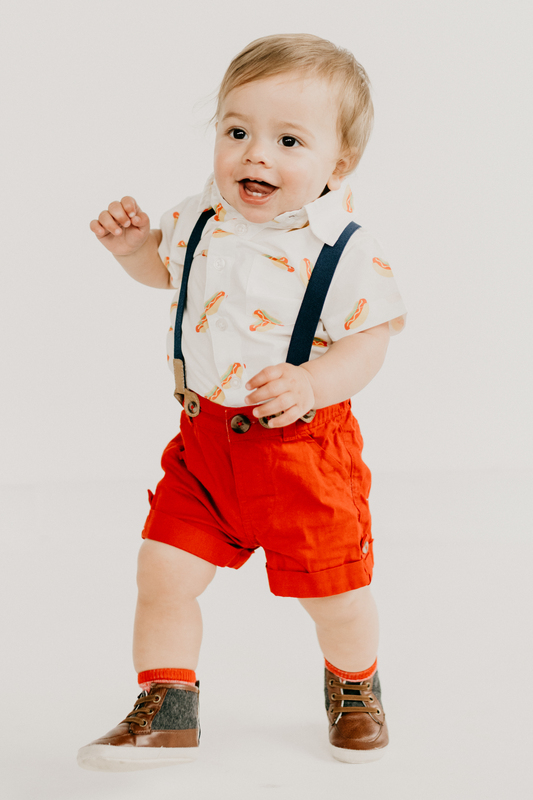 There was no ‘theme’ per say, I just made the invites say ‘hot dog: Ben is turning one’ because we were just going to grill some hot dogs and he had a hot dog print shirt lol. 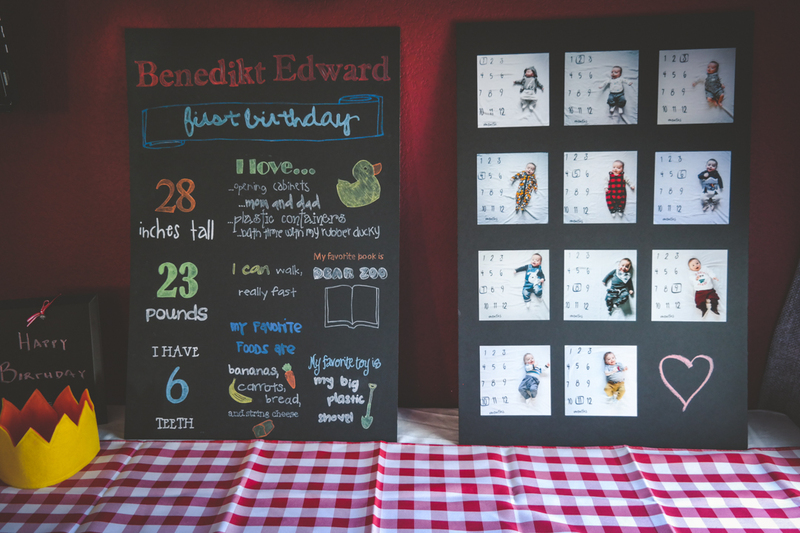 It was just a simple boys 1st birthday party, full of friends and family, and such a wonderful day. For decorations I bought black foam boards (this is a 3 pack that you can buy on Amazon) and used 1 to made a photo board displaying his monthly photos I had been taking (here you can see his 12 month and 1 month photo). 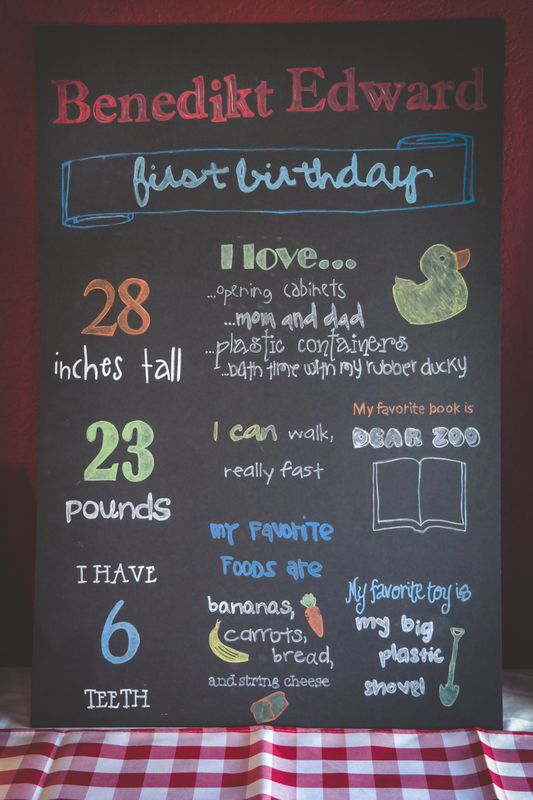 Then my sisters-in-law made this amazing chalk board looking sign for Ben listing his fave things and his stats using this tutorial. I bought Ben this felt crown and could not be happier about the purchase. Nick and I talked and we’re totally going to make him wear the crown for every birthday, because it has Velcro on the back lol. For the menu, we grilled up hot dogs and had hot dog toppings, and then I made cheesy potatoes and doubled the recipe for this banana snack cake with greek yogurt frosting for the adults, and made Ben a little cupcake. Also for food, a huge thank you goes to my in-laws who made spinach salad and homemade bread (thanks Ken!) and homemade Seriban sausages called chevapcici (I’ll be sharing the recipe soon). It was such a nice simple 1st birthday celebration.